It is true that cooking Mexican dishes, is probably what I do best. I grew up eating my mom and my masi’s (masi = mom’s sister) versions of their favorite mexican restaurant dishes at home and I’ve been obsessed ever since. They would whip up everything from chimichangas, to salsas which always tasted more like chutney (lol!). 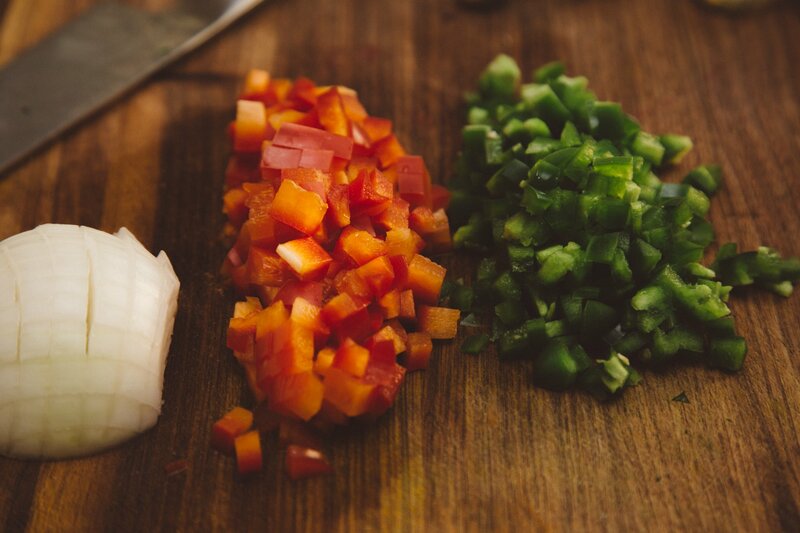 What they did best though, was take flavors from the original versions and find ways to update them with more flavorful masalas and complimentary ingredients like cumin, cilantro and an assortment of peppers. Of course we always added a ton more spice to these dishes as well. Seriously, serranos and jalapenos went into everything. My recipes, like theirs, are nowhere close to “authentic mexican” food. They are however, reminiscent of the delicious versions I grew up eating and have since updated with my own twists. 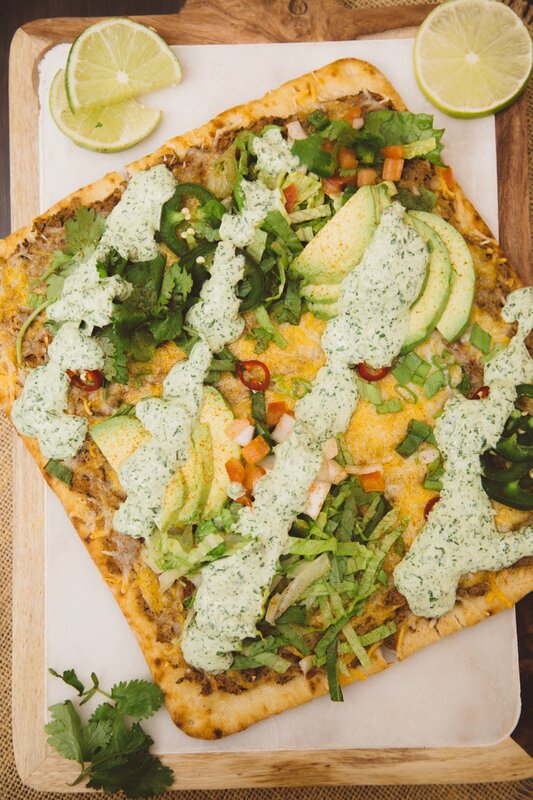 This mexican pizza or taco pizza, is one of the very few things my mom has ME make for HER. I will be sharing a lot more of my favorite Indian/Mexican recipes but this one is one of my all time favorites. 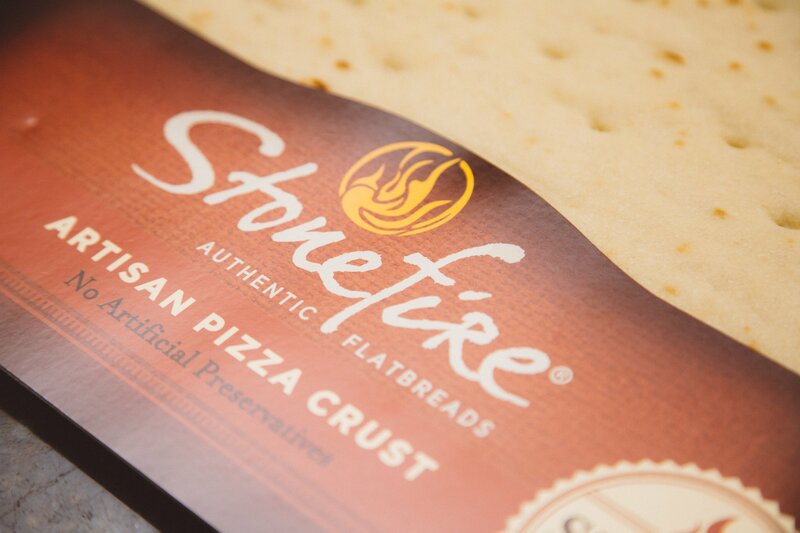 I use a ready made pizza crust from Stonefire that I really love! Their crust gets nice and crispy in the oven and is just the right thickness for all the toppings that get loaded on. Plus, it just saves me a lot of time. You could also use your own pizza dough recipe or a refrigerated version as well! I do have one request, if you are going to make this pizza, do NOT ..under ANY circumstance skip the sauce! Also, do not replace the mayo with greek yogurt or other weird stuff because if you do, I will find you and I will yell at you. Please, just try it my way first, you will love it! 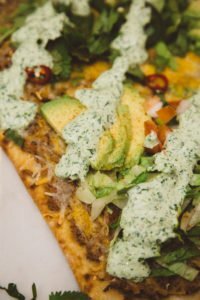 I topped my pizza with sliced avocado which added the perfect butter creaminess to the pizza, especially against the bright and zesty cilantro sauce! If you have any questions about the recipe or substitutions, comment below and I will reply lighting fast! In a medium sauce pan heat oil. Once hot add cumin seeds and jalapenos. 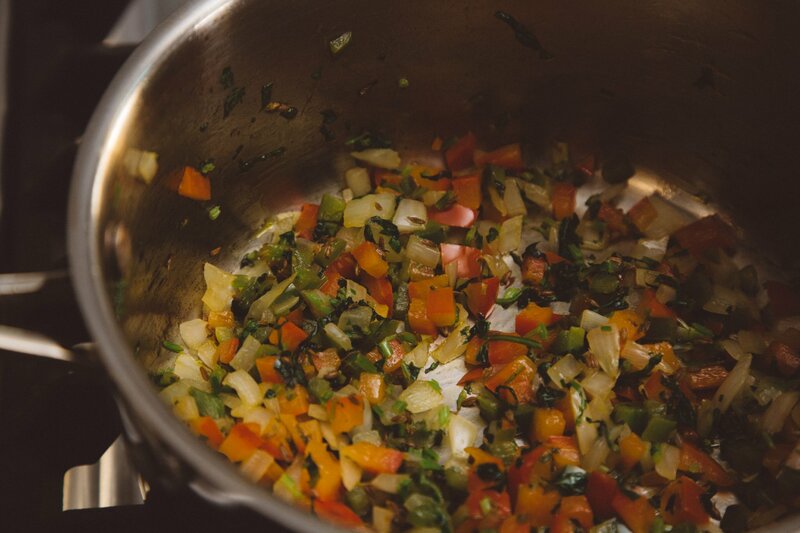 Add onion, red bell peppers, cilantro and stir continuously until onions and peppers have softened. Add beans (drained & rinsed), taco seasoning, chili powder, hot sauce and cook for about 5 minutes. 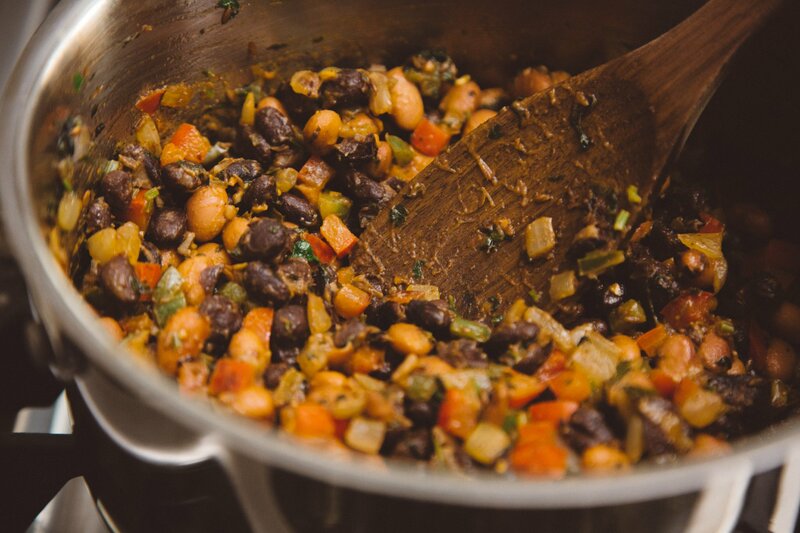 Remove from heat and using a hand blender, blend the beans until they are smooth and creamy. ( You can also use a potato masher to mash them or transfer them to a food processor). Place the pizza crust on a non stick perforated pizza pan (or follow directions if using fresh dough). Spread the beans mixture onto the crust evenly. Top with shredded cheese, sliced green onions and bake for about 10 minutes until cheese is melted and crust is golden on the edges. 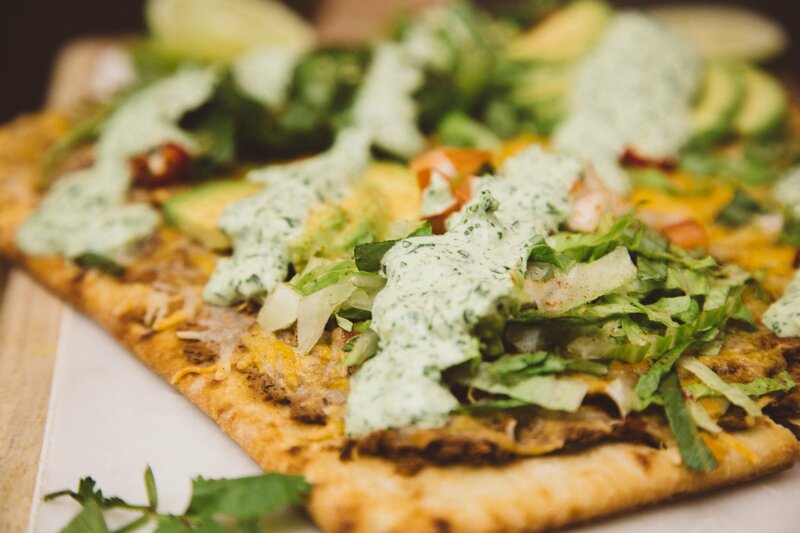 Remove from oven, top with lettuce, drizzle with Jalapeño sauce and garnish with sliced avocado, pico de gallo, hot sauce etc! Why would you not recommend substituting the mayo for greek yogurt? I do not see the recipe for this. Is it located somewhere else? This looks amazing! I’d like to try this today, however is there a list of all the ingredients you used for this recipe? Hey! Love the idea, where’s the recipe? Hiii, I want to make this but I can’t see the recipe ? Hi where do I find the recipe for this? 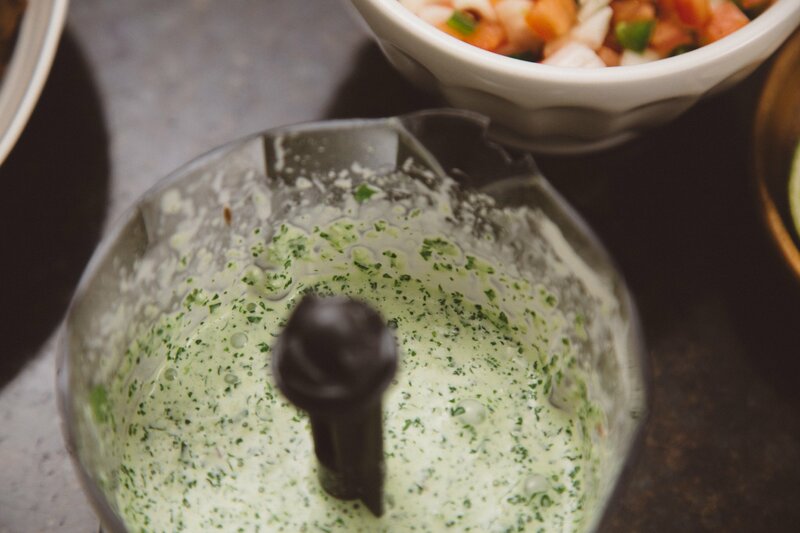 Hi Palak – the crack sauce looks delicious! Would I be able to substitute the mayo with vegan mayo? Thanks! Hi, I love these flavors together.. do you think it can work as a salad dressing as well ? Or would be too strong? Any recos? Hey! It would be great as a dressing- tastes great if you throw some corn and pasta in your salad as well! Like a pasta salad! Hi Palak! Love your crack sauce recipe, it’s AMAZING! How long do you think it will keep in the fridge?